Leandro Da Silva is one of the top names in the House Music and Future House world. He recently lead (#1) the Beatport House Chart with the track I Love House Music that also reached the #3 position on the General Chart. He moved to Italy from Rio de Janeiro with his family at the age of 10. He grew up in Rome and at the beginning of his career he won a DJ’s contest for the Italian radio, Radio Deejay. Soon Leandro managed to become one of the most known DJ’s in Italy. Today he hosts a daily program of house music on m2o Radio (the main dance music network in Italy) called Music Zone where you can also listen to a selection of his renowned podcast In Da Silva House. 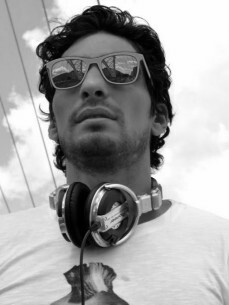 DJ and producer, A&R of his own label Black Lizard Records. In recent years, he never stopped producing original and successful tracks that have seen the support of names such as: Oliver Heldens, Don Diablo, Kryder, Martin Garrix, EDX, and many more. Leandro’s first success was Sing it Back one the best selling house track of 2015.